Want a career in IT? We are looking for an IT Technician to join our team! QuickTec IT Support and Services is one of Galway’s leading IT Support companies. To service our growing customer base in the West of Ireland, we now invite applications for the role of IT Technician. The Job involves the configuration of hardware and software products for our SME customers in the West of Ireland. On-going support will involve the provision of Technical Services via our Call Centre to ensure clients’ Service Levels Agreements are maintained. Excellent knowledge of all Microsoft Windows systems and Networks, with configuration, support and installation experience. Ideally 1 or more years working in an appropriate role would be desirable. Knowledge of Networks, Firewalls and Security. A team worker, with good customer focus. Ideally suited to a candidate who wishes to further their career in I.T. We offer training and career development to suitable candidates. Excellent troubleshooting and problem solving skills are essential. 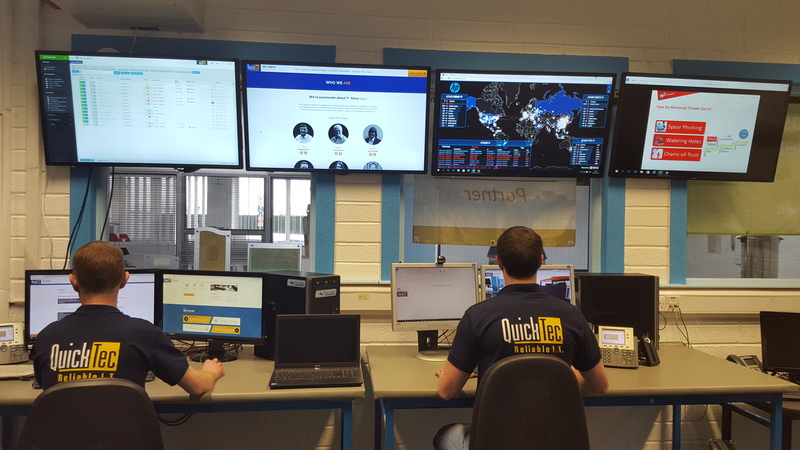 letter to The General Manager, QuickTec IT Support & Services, Ballybrit Business Park, Galway.